Aqua Babies (£5.50 per session) runs four times a week (Monday 10:15, Tuesday 11:15, Friday 11:15 and 14:00) and is bookable by phone on 01865 467124 or online. The 45-minute class includes both serious learning and fun time: the first part teaches babies essential skills such as going under water, finding the side of the pool and holding on, and kicking on both the stomach and the back. Then there are songs, splashing about, and time to play with toys. It’s a great way to get your baby used to the water, and the teachers (Carol and Brenda) are both excellent with little ones. One of the best things about Aqua Babies is that you don’t have to sign up for a whole course. You just book an individual session each time, so you can choose different days of the week or skip some weeks or even call in to cancel a session if your baby happens to be taking an extra-long nap and you don’t want to wake them up. Compared to baby swimming lessons elsewhere, this is fantastic (I have friends in different cities who are literally hovering over their computers hitting the refresh button on the morning that swimming class bookings open). The freedom of choice is great, but do make sure that you book in advance because the classes sometimes are fully booked and they take a maximum of 12 babies. Here’s how Aqua Babies at Temple Cowley Pool rates for baby-friendliness, based on my 8-point rating scale for activities. In my reviews I look at space, ambiance, facilities, and feeding; see my About page for more information on my ratings system. Space: Before you enter the changing rooms, you’ll have to park your baby carriage in the designated space under the stairs in the lobby. There are usually several carriages under there, although I have seen parents take them into the changing rooms as well (there is a small fenced-off area in the changing room where you can put a lightweight foldable umbrella-type stroller, but nothing bigger). 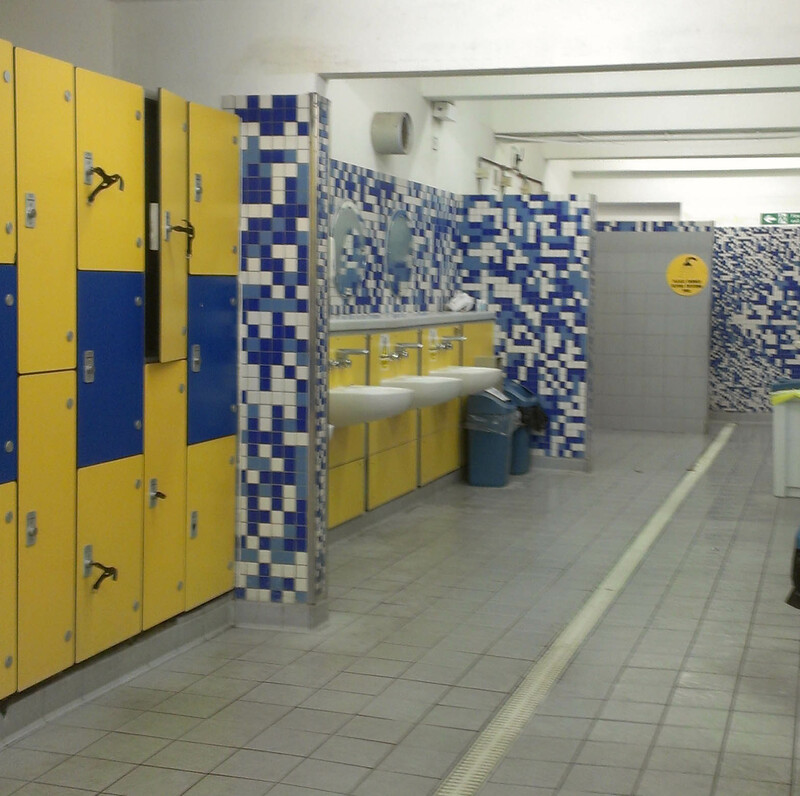 The changing rooms at Temple Cowley Pool have quite a lot of space and you will always find an area where you can spread out your swimming paraphernalia. However, the lockers (for which you need a pound coin) must be the worst lockers in the history of fitness facilities; usually I have to try three before I get one with a working key, which is hard to do while holding a baby and about five bags of necessities. They are clean, though, as is the rest of the changing room. There are two areas with a baby-changing table in each of them and a further four cubbyhole-type private changing rooms. Certainly, there is lots of space for you to navigate the seemingly-impossible task of getting a baby’s swimming costume on and off. There is also a Family changing room for parents who come together with their baby. Ambiance: The learning pool is a very welcoming space and the teachers are lovely. Other parents are friendly. It feels like a fun place to be, an ambiance which other pools I’ve been to definitely lack. Everything revolves around the babies during a session, so it is very baby-friendly. Facilities: There are two areas in the women’s changing room with baby-changing tables. They’re in high demand after an Aqua Babies session, so be prepared to wait for one if you need to use it. 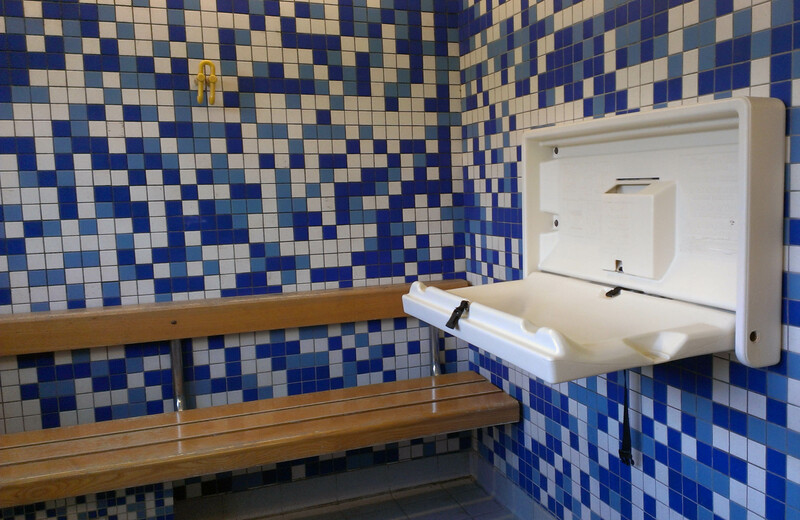 There’s also a regular pull-down baby-changing table in the regular women’s toilets, but you wouldn’t use it for changing into or out of a swimming costume. Feeding: I’ve seen mothers breastfeed their babies right in the changing room, and there’s also a space in the lobby with tables that are sometimes full of mothers breastfeeding or bottle-feeding their babies after a session. It has a very welcoming community-type feel to it. The benches in the changing room might be more comfortable than the non-adjustable bucket-seat chairs at the lobby tables, though. 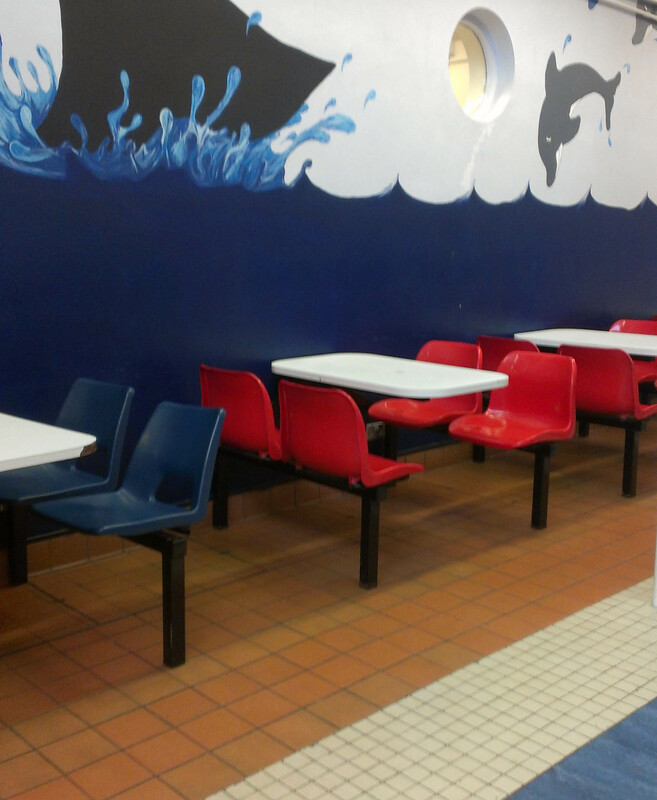 In total, Aquababies at Temple Cowley Pool rates a 6.75 out of 8. If you are looking for a way to get your little one used to the water at a very young age, I highly recommend it. And it is so much fun to watch your baby splash about in the pool! I’d like to end this post with a shout-out to the Save Temple Cowley Pools & Fitness Centre campaign. Temple Cowley Pools (and the fitness centre, and Blackbird Leys pool as well) are currently under threat of closure by Oxford City Council. If you’d like to know more and sign the petition to keep it open, please visit the Save Temple Cowley Pools & Fitness Centre website and follow them on Twitter at @SaveTCP. The pool is such an important resource for Cowley and surrounding areas that it would be a shame if it were to close.